Working within the complex and multi-use layouts of these buildings, Wilton Carpets can provide narrowloom and broadloom woven public building carpet that meets multi-disciplinary design requirements while respecting any outstanding architectural features or building heritage. Through our Bespoke service, we can work with local councils and local authorities to develop a modern or traditional carpet design that reflects the building’s use as a public space. Woven from high-quality British wool, carpets from Wilton are manufactured in the UK using the latest weaving machinery. Our Ready to Weave service provides public buildings with fast access to semi-custom carpet design, allowing an extensive library of classic, traditional and contemporary carpet patterns. Through this service, local authorities and design practices can access high-quality woven axminster public building carpets in a range of qualities to suit varying use throughout the buildings. In general areas within council buildings, including offices and meeting rooms, Tufted wool carpets from Wilton Carpets can provide a durable In Stock carpet that can help meet refurbishment budgets with delivery in just 5-7 working days. In a wool-rich fibre blend that delivers excellent appearance retention for a long carpet life, as well as facilitating easy flooring maintenance, the Wilton Carpets tufted carpet collection includes modern geometric and linear designs. 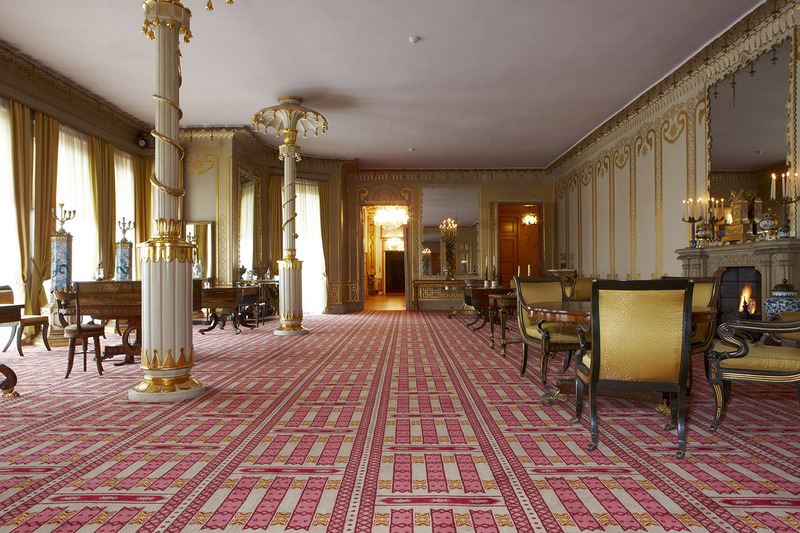 A tufted pattern wool carpet from Wilton Carpets can help to reduce the appearance of dirt between cleans and provides excellent value for public buildings. Woven and tufted wool public building carpets from Wilton Carpets can be combined to provide local councils and authorities with a high-quality carpet specification that can help to meet budget; giving council offices, town and civic halls, county courts, ceremony venues, public libraries and galleries a purposefully designed UK made carpet. As a UK-based carpet manufacturer specialising in public building carpet, Wilton Carpets has a track record of successfully providing woven wool carpet for public sector buildings, delivering on-time and within budget. Visit our Gallery to see Wilton Carpets in action at public buildings across the country.